Arden Rowell, Law, Belief, and Aspiration (2017), available at SSRN. Theories about law frequently assume that people know what the law is. Theoretical accounts of the rule of law by Lon Fuller, Joseph Raz, and Friedrich Hayek, for example, emphasize that law must be prospective, clear, public, and stable, because it must be capable of guiding behavior.1 The assumption that people know what law is shows up in H.L.A. Hart’s assertion that a necessary condition for law is that valid “rules of behavior” promulgated by the legal system “must be generally obeyed.”2 This assumption is also manifested in theoretical claims that criminal laws deter crime and tort liability creates incentives for behavior. These and other discussions about the supposed consequences of law often take for granted that people have a correct understanding of what law requires. Professor Arden Rowell’s recent article, “Law, Belief, and Aspiration,” casts doubt on this assumption. This empirical study, though not itself a work in jurisprudence, has significant theoretical implications and should be read by jurisprudents. Rowell conducted a survey of 869 citizens across 6 states on 10 legal topics (employment law, criminal law, property, taxes, health, transportation, traffic regulations, gun control, state constitutional law, and torts). Most of the questions are basic: Does your state have an income tax? Is texting while driving legally prohibited? Does your state have the death penalty? May employers fire employees at will (unless contractually prohibited)? Does the state cap pain and suffering awards in medical malpractice? Are people required to report to police the commission of a felony by someone? And so forth. (P. 12.) Survey questions inquired about people’s knowledge of law as well as their normative desires for the law. This enabled Rowell to compare what the law is, what people believe the law is, and what people want the law to be. Many of her findings are surprising. Correct answers about the law ranged from a low of 47% (on the legal obligation to report felonies) to a high of 83% (on state taxes). Given the unpleasant annual ritual of tax filing, it makes sense that a significant majority of people would correctly know whether their state imposes taxes (though one must wonder about the 17% who got it wrong). But significant percentages of people were wrong on the legal requirement to report felonies (53% incorrect), on damage caps (45.5% incorrect), on at will employment (38% incorrect), on the whether the constitution includes a right to a clean environment (37.2% incorrect). (P. 15.) Over twenty percent of respondents were wrong about whether the state has a death penalty and over whether texting while driving is prohibited. Second, “there is a significant relationship between what people believe the law to be, and what they believe it should be.” (P. 19.) (Emphasis added.) Respondents tended to believe the law matches their normative preferences, although this was not true about one-third of the time. (Pp. 26-28.) On four of the ten topics, their normative preference for what the law should be was a better predictor of their belief about law than what the law actually is. (Pp. 19-21.) As Rowell indicates, the causal arrow behind this association is not clear—whether normative preferences influence beliefs about law, or vice versa. This is not the first study to demonstrate that significant numbers of people are misinformed about law. Pauline Kim completed two studies showing that workers across several states misunderstood basic rules governing employment relationships, overestimating the extent of job protection provided by law.3 John Darley, Kevin Carlsmith, and Paul Robinson found that on three out of four criminal law topics studied people were unaware of the applicable legal regime.4 Rowell’s study adds a broader set of questions across multiple areas of law, examined in a larger number of states. Her findings raise other potentially important implications for legal theory. Take the rule of law. The rule of law enhances individual autonomy and liberty, it is often said, because people are apprised in advance of the potential legal implications of their actions. By providing notice, law enhances predictability and planning. People are free to do whatever the law does not explicitly prohibit. These assertions are central to rule of law arguments by Hayek and Fuller. But what if significant numbers of people systematically misapprehend the law? What if certain subpopulations—better educated, older—know more about the law than others? Or consider Hart’s assertion that a necessary condition for the existence of a legal system is primary rules “must be generally obeyed.” It cannot be said, however, that people “obey” laws they do not know. This study suggests perhaps that Hart stated this condition too demandingly—perhaps a legal system may exist as long as the primary rules are “not generally contravened” (knowingly or not). One might respond that legal notice and predictability still exist thanks to the assistance of lawyers, but this raises additional questions about affordable access to lawyers and whether people regularly consult lawyers ex ante. Or legal theorists might instead rethink the assumed relationship between law and the populace. Perhaps the crucial factor in the association between law and social conduct is not that people actually know what the law is, but whether the law matches people’s intuitions about what law is. When they do match, “knowledge about” law or “compliance with” law is not literally but functionally correct—such that the operative factor is not the causal influence of law on social behavior but the correspondence between law and social beliefs about law. Rowell’s study alone is not enough to indicate that these theories must be modified. However, in conjunction with other similar findings, it does indicate that more thought must be put into aspects of these theories that largely are taken-for-granted by legal theorists. Rowell’s study also raises a more general question about whether legal theorists must (or at least should) consult relevant empirical studies when the theories they construct include assertions about what people know or think about law, how law affects behavior, what are the functions of law, and so on. This would seem obvious, but it is not currently the standard practice of many legal theorists. See Brian Z. Tamanaha, On the Rule of Law 93 (2004). H.L.A. Hart, The Concept of Law 113 (1961). Pauline Kim, Bargaining with Imperfect Information: A Study of Worker Perceptions of Legal Protection in an At-Will World, 83 Cornell L. Rev. 105 (1998); Pauline Kim, Norms, Learning, and Law: Exploring the Influences on Workers’ Legal Knowledge, 1999 U. Ill. L. Rev. 447 (1999). John M. Darley, Kevin M. Carlsmith, & Paul H. Robinson, The Ex Ante Function of the Criminal Law, 35 L. & Soc’y Rev. 165 (2001). 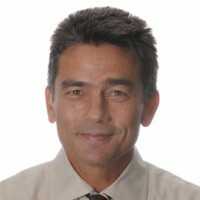 Cite as: Brian Tamanaha, Faulty Knowledge About Law, JOTWELL (August 8, 2017) (reviewing Arden Rowell, Law, Belief, and Aspiration (2017), available at SSRN), https://juris.jotwell.com/faulty-knowledge-about-law/.